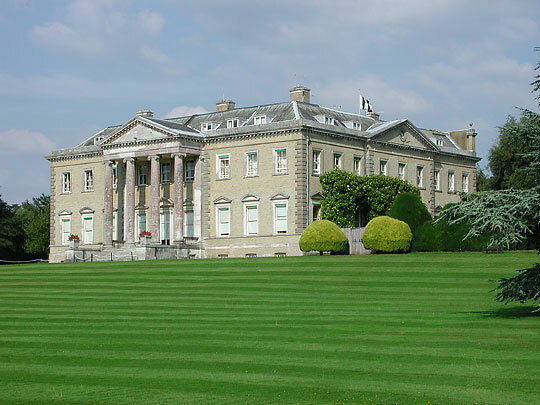 The home of Lord Mountbatten in the 20th century and of the Palmerstons in the 18-19th centuries. 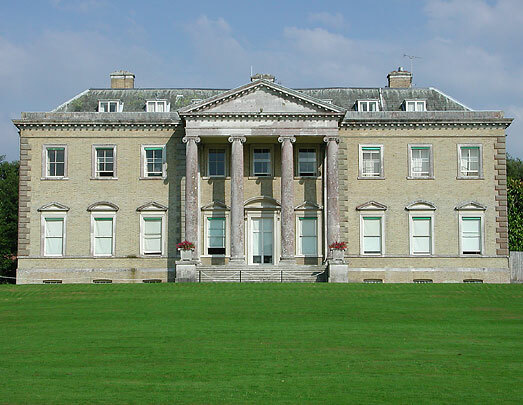 Broadlands when Celia Fiennes saw it was 'halfe a Roman H', i.e. 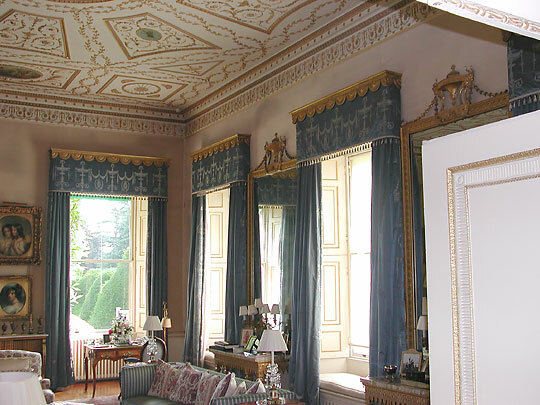 one range of rooms and two projecting wings. They projected to the E (last picture). All this still exists, though the space between the wings is filled in (right hand picture) and the main, i.e. W, range (middle pictures) has a whole second range parallel to it now forming the E facade. 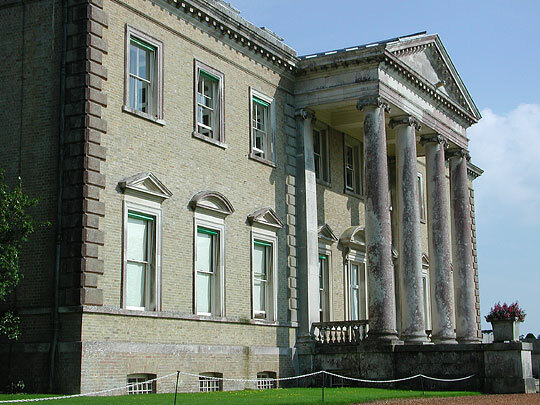 These alterations were done c.1767-8 by Lancelot Brown (Capability Brown), and further important alterations were made by Holland in 1788. 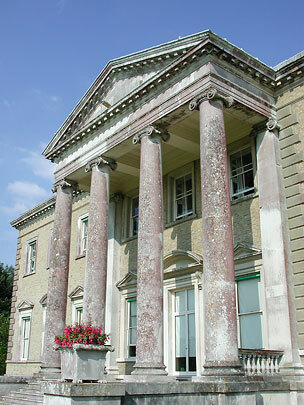 The house as it now is is faced with yellow brick, a material made fashionable in the middle of the C18, and has, on the entrance (E) side, nine bays and a three-bay recessed loggia of very slender pink giant Ionic columns and on the garden (W) side the same number of bays but a giant three-bay portico with pediment. 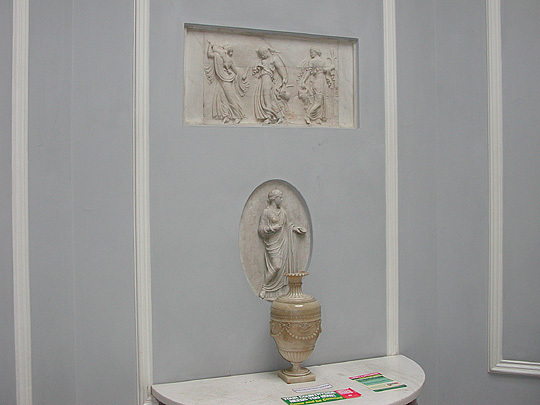 This centrepiece is rendered to appear stone. 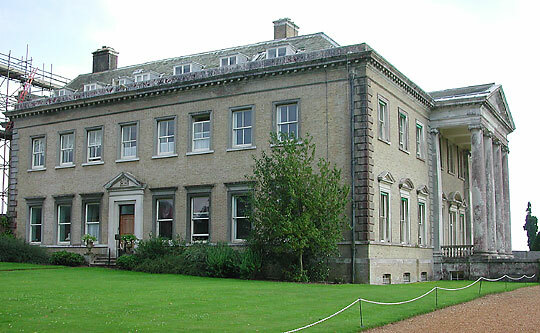 Some of the principal windows on both sides are pedimented too. 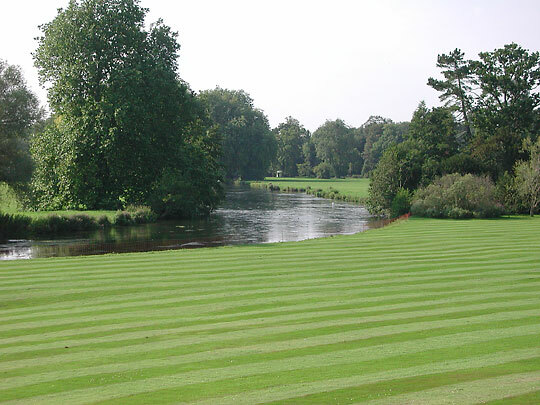 The main features of the exterior can be attributed to Holland, for reasons of style. 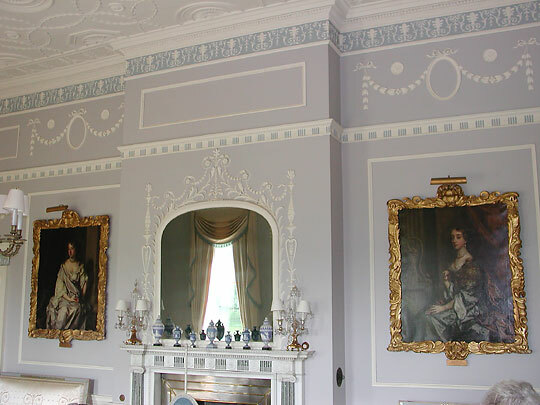 Drawing room, first two pictures, and Saloon, last picture. The climax is the saloon in the centre of the W front. 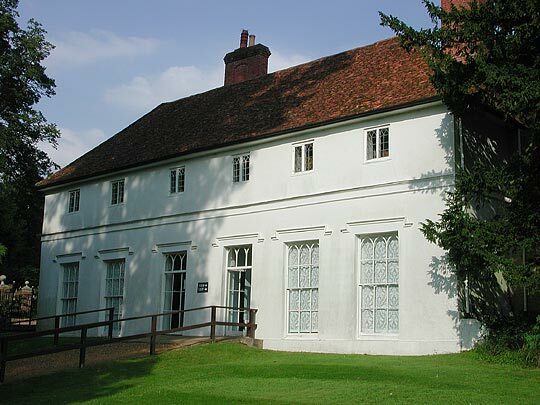 The stucco is what can be safely called Adamish and presumably of c.1788. 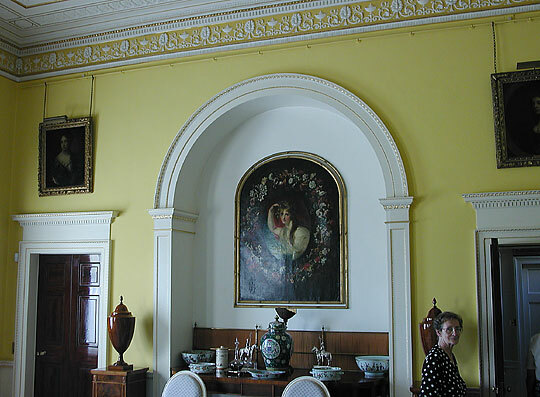 Drawing room and saloon are connected by an arch. 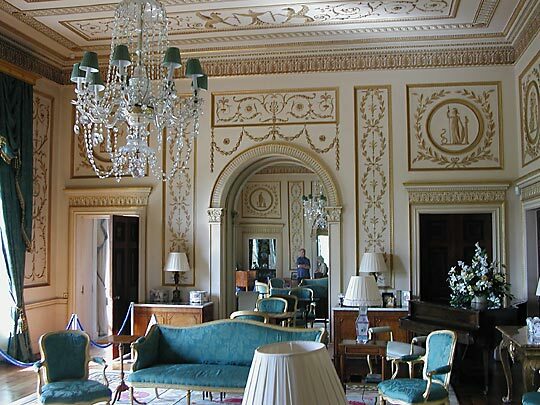 The arch opposite in the saloon holds a mirror. Both arches are a C20 alteration. 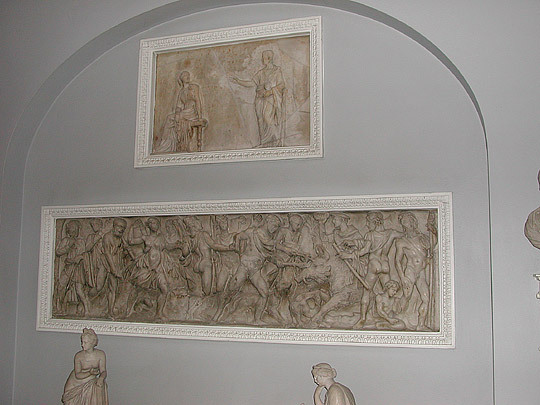 The room also has stucco wall panels. 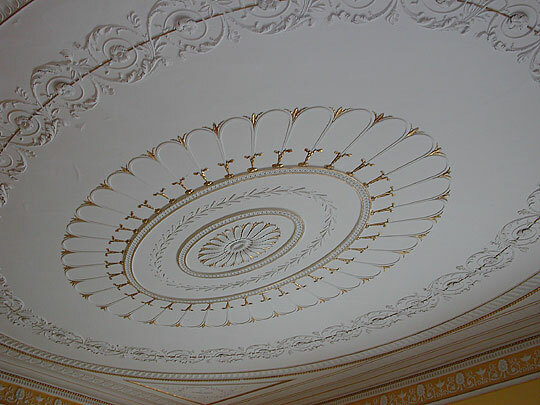 Broadlands' archives indicate that Joseph Rose the elder designed and carried out the plasterwork in 1769, earlier than suggested by Pevsner. 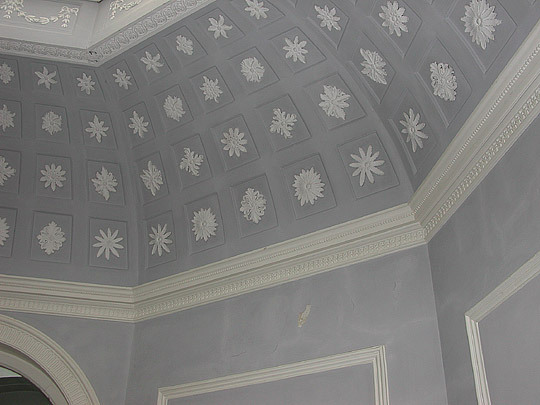 Rose had worked under Robert Adam at Syon. 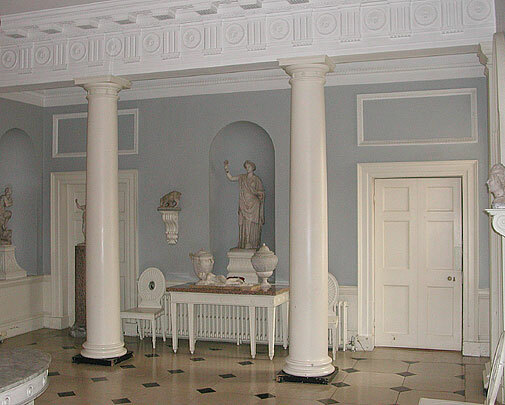 First two pictures, the dining room designed by Henry Holland in 1788. 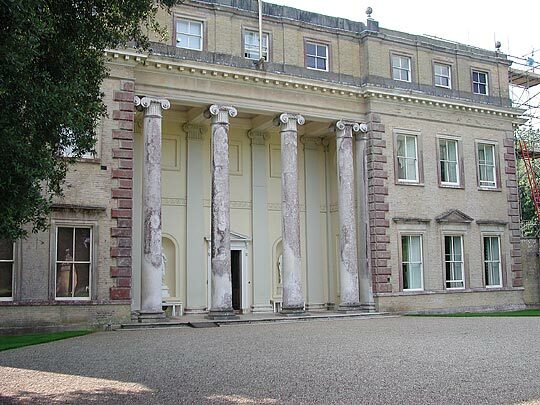 The portrait in the arch is of Emma, Lady Hamilton, by Sir Thomas Lawrence. 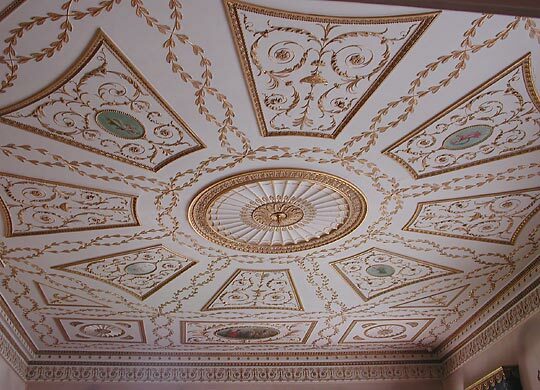 Third picture, the Wedgwood Room. 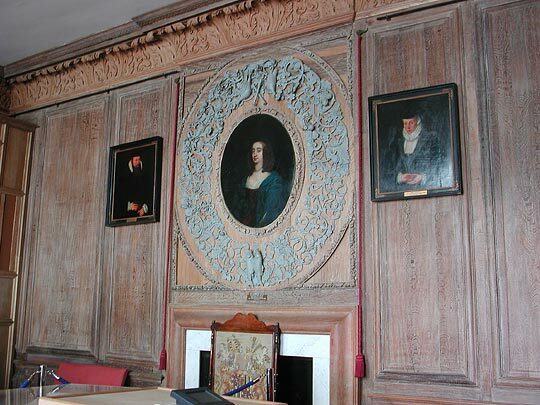 Last picture, the Oak Room on the first floor, with late C17 wood panelling and Gibbonsish details.